Osmo Vanska lives in a condominium on the Minneapolis riverfront, not far from the site of the 35W bridge collapse. When he was asked soon after the event to compose a piece for the Metropolitan Symphony Orchestra's 25th anniversary season, Vanska said he would, and it would probably be called "The Bridge." Metropolitan Symphony Orchestra director Bill Schrickel says Vanska's piece has many layers to it. 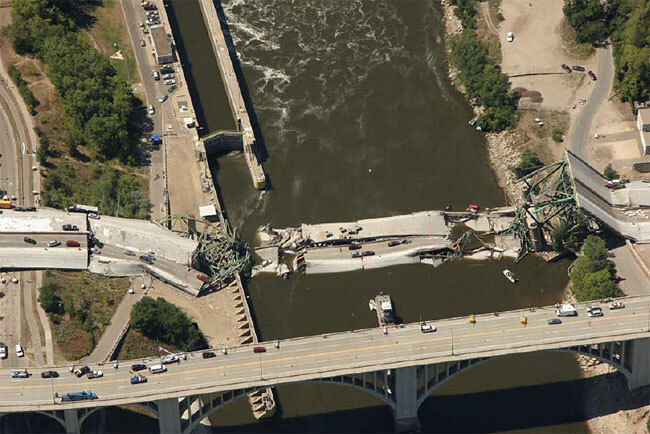 "I think if people are expecting a literal representation of the 35W bridge falling down, or something that would be an overt eulogy for the victims or something like that -- it's not that," explained Schrickel. Schrickel says there are moments that could be similar to the crashing of a bridge, but they happen early on in the nine-minute piece. What comes next is jovial and festive. Vanska says while he started his piece thinking about the bridge collapse, he soon began exploring the more tenuous metaphorical bridges that exist between people, and even between countries. "The bridge could be like a trust between people," mused Vanska, "and then that bridge collapses and the two persons or two parties or two nations, they don't trust each other any longer. And it takes a long time to build up that bridge." As the piece continues, it becomes more introspective and bittersweet. Eventually the festive folk music returns, but now it's changed. "His writing for the strings starts to slightly fragment," explained Schrickel. "And so what had been all lined up in nice straight forward major triad harmony the first time, starts to get displaced by one or two notes gradually throughout the orchestra. So you sort of feel that something's deteriorating and it's going to go away, and a change is coming and it might not be a good one." The Metropolitan Symphony Orchestra is an amateur community orchestra. It will perform Vanska's "The Bridge" Sunday at Normandale Lutheran Church in Edina. The orchestra will also perform Gustav Mahler's massive Symphony No. 7. Vanska admits he was a bit taken aback when he heard of the pairing. After all, this is only his second orchestral composition. "Mahler is a big name," chuckled Vanska. "I think that I have to bow very deep for Mahler, and hope that my piece is not making any harm for the concert." Vanska listened to several different versions of Mahler's 7th symphony while writing "The Bridge," to ensure that the two resonated well together. And he thinks he's succeeded. "Especially the ending," said Vanska. 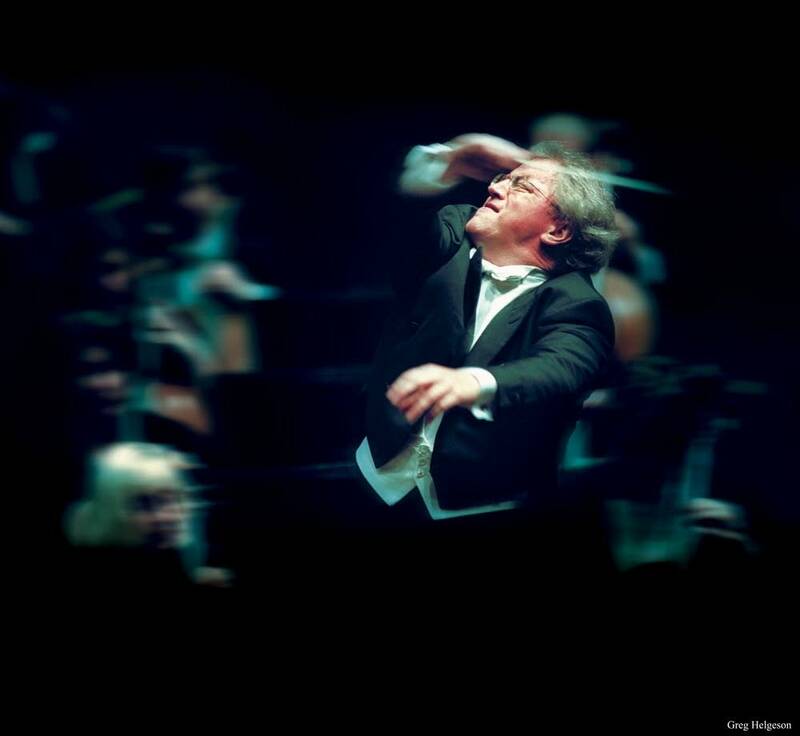 "I believe when my piece stops it's possible to start Mahler's music. There is a harmonical connection to it." That's precisely what the Metropolitan Symphony Orchestra intends to do. Music Director Bill Schrickel says Vanska's piece ends with a questioning tone, which sets the stage beautifully for Mahler's 7th Symphony. The 80-minute piece starts in a mood of total darkness and night, and gradually shifts to major chords and more uplifting themes. Schrickel asked Vanska to write "The Bridge" after hearing his first orchestral work performed in 2006. Schrickel says while he was persistent in his request, he was still surprised when Vanska agreed. 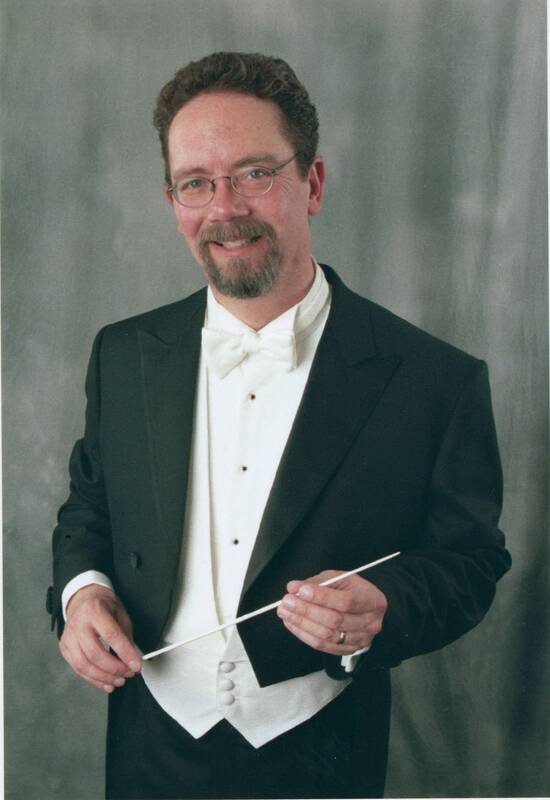 "Here he is writing this piece for a talented amateur community orchestra, a free concert not being premiered in Orchestra Hall to a great deal of hooplah," said Schrickel. "That he'd be willing to put his musical self on the line to do that, and take that time and commitment out of what's got to be the busiest schedule I know of, is extraordinary." 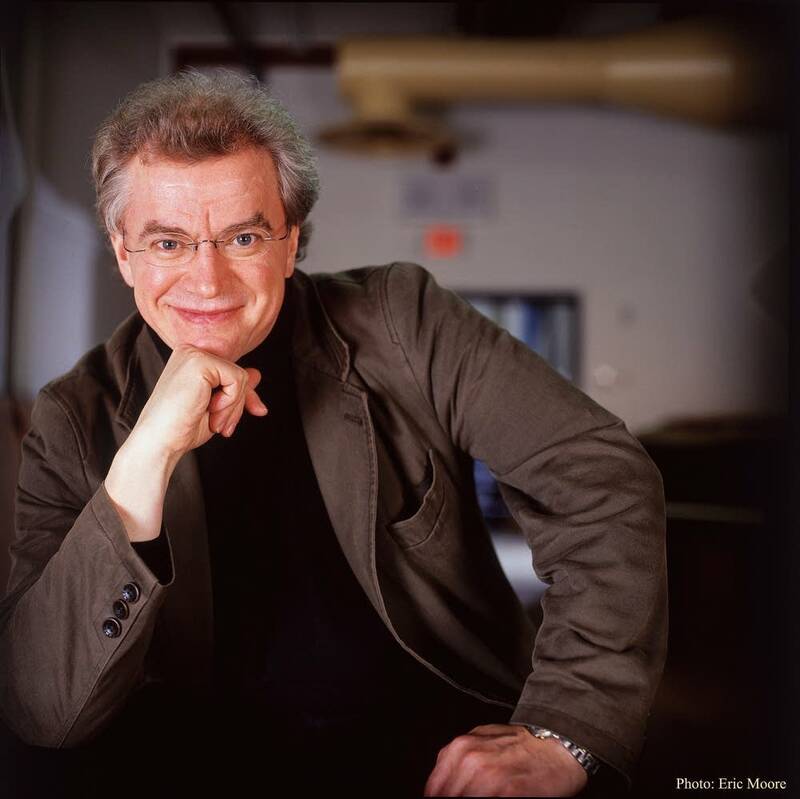 Minnesota Orchestra conductor and composer Osmo Vanska is currently serving as guest conductor for the Cleveland Orchestra. He returns to the Twin Cities Sunday, just in time to attend the premiere of "The Bridge."